I and my party Awami Tahreek congratulate all of those who put their energies to save the sweet homes of Ulhasnagar Sindhis. Our best wishes are with you. Here in Sindh the fascist, racial terrorist organization has started to demolish very ancient Sindhi villages of Karachi and Hyderabad, in the name of encroachment and illegal possession. People of these villages and my party Awami Tahreek are on roads and vehemently protesting against these vandalistic activities of MQM. 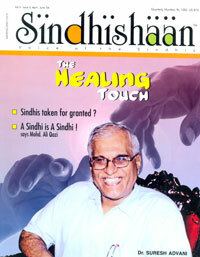 Please send this message to all the comrades of Sindhishaan.